Quiet in the studio, please! The recording studio is where all the hard work, creativity, and pure graft combine to make that one iconic hit. Temple Lane Recording Studios have been at the centre of Irish music since 1984 and worked with a number of acts such as Paolo Nutini, The Script, and Rihanna to name but a few. Now for the first time in its history, the studio has now opened it’s doors to the public offering you a chance to explore and experience one of the world’s leading recording facilities! Complete with state-of-the-art Neve desk (one of the most iconic mixing desks in existence) along with other professional equipment, this is an opportunity not usually available to the public. Not only do you get a first-hand look at all of this recording equipment that has been used by so many iconic stars, but you will also get a chance to record your very own hit record. Thin Lizzy are real icons of Irish Rock N’ Roll, especially their enigmatic frontman Phil Lynott. But did you know that Temple Lane was, in fact, one of the last places Philo is said to have recorded before his untimely death at the age of 36 in 1986. 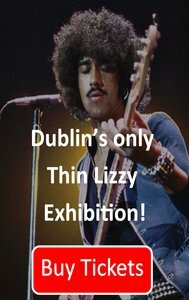 This, in fact, makes our studio the perfect place to house Dublin’s only exhibition devoted to everything Thin Lizzy and Phil Lynott. 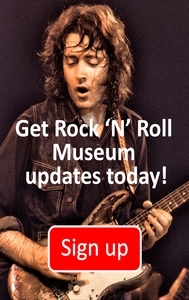 Home to memorabilia such as Phil’s iconic Mirrored Bass, White Falcon and Gibson ES335 along with items from his childhood, it is a must-see for all rock fans!